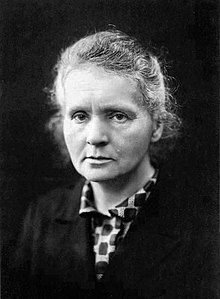 Marie Skłodowska Curie ( /ˈkjʊəri/ ;  French: [kyʁi] ; Polish: [kʲiˈri] ; born Maria Salomea Skłodowska; [lower-alpha 1] 7 November 1867 – 4 July 1934) was a Polish and naturalized-French physicist and chemist who conducted pioneering research on radioactivity. She was the first woman to win a Nobel Prize, the first person and only woman to win twice, and the only person to win a Nobel Prize in two different sciences. She was part of the Curie family legacy of five Nobel Prizes. She was also the first woman to become a professor at the University of Paris, and in 1995 became the first woman to be entombed on her own merits in the Panthéon in Paris. Her achievements included the development of the theory of radioactivity (a term that she coined),   techniques for isolating radioactive isotopes, and the discovery of two elements, polonium and radium. Under her direction, the world's first studies into the treatment of neoplasms were conducted using radioactive isotopes. She founded the Curie Institutes in Paris and in Warsaw, which remain major centres of medical research today. 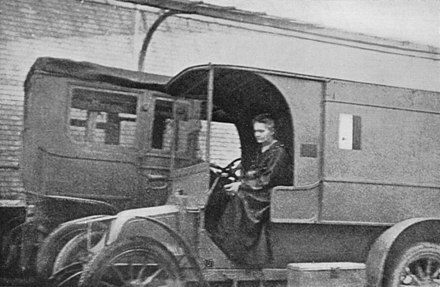 During World War I she developed mobile radiography units to provide X-ray services to field hospitals. Sancellemoz is a sanatorium in the town of Passy, in Haute-Savoie, eastern France. Professor Marie Curie died in the sanatorium Sancellemoz. Haute-Savoie is a department in the Auvergne-Rhône-Alpes region of Southeastern France, bordering both Switzerland and Italy. Its prefecture is Annecy. To the north is Lake Geneva and Switzerland; to the south and southeast are the Mont Blanc and Aravis mountain ranges. It holds it name from the Savoy historical region, as does the department of Savoie, located south of Haute-Savoie. 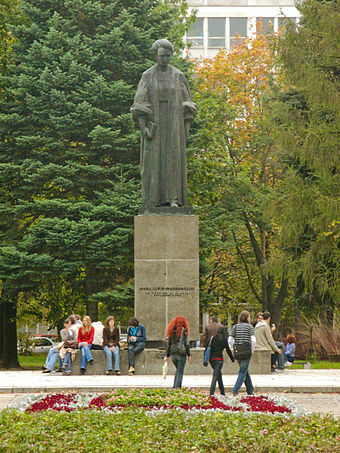 Bronisława Dłuska was a Polish physician, and co-founder and the first director of Warsaw's Maria Skłodowska-Curie Institute of Oncology. 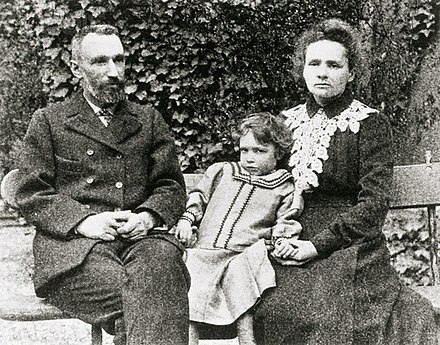 She was married to political activist Kazimierz Dłuski, and was an older sister of physicist Marie Curie. 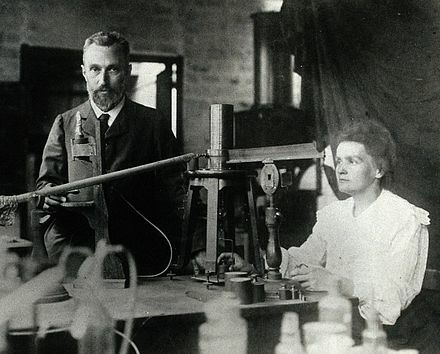 In 1910 Curie succeeded in isolating radium; she also defined an international standard for radioactive emissions that was eventually named for her and Pierre: the curie. 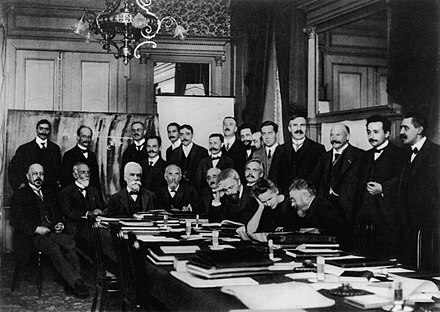 Nevertheless, in 1911 the French Academy of Sciences failed, by one  or two votes,  to elect her to membership in the Academy. Elected instead was Édouard Branly, an inventor who had helped Guglielmo Marconi develop the wireless telegraph. It was only over half a century later, in 1962, that a doctoral student of Curie's, Marguerite Perey, became the first woman elected to membership in the Academy. ESPCI Paris is an institution of higher education founded in 1882 by the city of Paris, France. It educates undergraduate and graduate students in physics, chemistry and biology and conducts high-level research in those fields. It is ranked as the first French École d'Ingénieurs in the 2017 Shanghai Ranking. Jean Frédéric Joliot-Curie, born Jean Frédéric Joliot, was a French physicist, husband of Irène Joliot-Curie with whom he was jointly awarded the Nobel Prize in Chemistry. The Maria Skłodowska-Curie Institute of Oncology is a specialized research institute and hospital of the Polish Ministry of Health. Based in Warsaw, it also has regional branches in Gliwice and Kraków. It was founded in 1932 as the Radium Institute by double-Nobel laureate Maria Skłodowska-Curie in collaboration with the Polish Government, especially President Ignacy Mościcki. Induced radioactivity, also called artificial radioactivity or man-made radioactivity, is the process of using radiation to cause a previously stable material to become radioactive. The husband and wife team of Irène Joliot-Curie and Frédéric Joliot-Curie discovered induced radioactivity in 1934, and they shared the 1935 Nobel Prize in Chemistry for this discovery. Hélène Langevin-Joliot is a French nuclear physicist. She was educated at the IN2P3 at Orsay, a laboratory which was set up by her parents Irène Joliot-Curie and Frédéric Joliot-Curie. She is a member of the French government's advisory committee. Currently, she is a professor of nuclear physics at the Institute of Nuclear Physics at the University of Paris and a Director of Research at the CNRS. She is also known for her work in actively encouraging women to pursue careers in scientific fields. She is Chairperson of the panel that awards the Marie Curie Excellence award, a prize given to outstanding European researchers. She was President of the French Rationalist Union from 2004 to 2012. Hipolit Wawelberg (1843–1901) was a Polish Jewish banker, and one of the most prominent members of the Wawelberg banking family. He was a known Polish patriot and a lifelong philanthropist. The Musée Curie is a historical museum focusing on radiological research. It is located in the 5th arrondissement at 1, rue Pierre et Marie Curie, Paris, France, and open Wednesday to Saturday, from 1pm to 5pm; admission is free. The museum was renovated in 2012, thanks to a donation from Ève Curie. 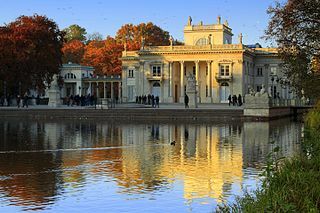 The Maria Skłodowska-Curie Museum is a museum in Warsaw, Poland, devoted to the life and work of Polish two-time Nobel laureate Maria Skłodowska-Curie (1867–1934). The museum, which is sponsored by the Polish Chemical Society, is the only biographical museum in the world devoted to the discoverer of polonium and radium. Ștefania Mărăcineanu was a Romanian physicist. Elizabeth Rona was a Hungarian nuclear chemist, known for her work with radioactive isotopes. After developing an enhanced method of preparing polonium samples, she was recognized internationally as the leading expert in isotope separation and polonium preparation. Between 1914 and 1918, during her postdoctoral study with George de Hevesy, she developed a theory that the velocity of diffusion depended on the mass of the nuclides. 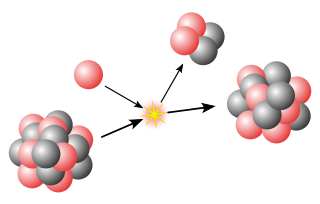 As only a few atomic elements had been identified, her confirmation of the existence of Uranium-Y was a major contribution to nuclear chemistry. She was awarded the Haitinger Prize by the Austrian Academy of Sciences in 1933. Emile Armet de Lisle (1853–1928) was a French industrialist and chemist who helped develop the French radium industry in the early 20th century. Around the turn of the century, Armet de Lisle began to take notice of a growing market for radium products in France. Seeking to take advantage of this opportunity and leave his own mark on the family business, de Lisle established a new factory, just outside Paris, devoted to the production of radium products in 1904. This was the first radium factory in the world. Sonia Cotelle, née Slobodkine, was a Polish radiochemist. ↑ "Marie Curie Facts". Nobelprize.org. Retrieved 2 March 2019. ↑ "The Discovery of Radioactivity". Berkeley Lab . The term radioactivity was actually coined by Marie Curie […]. 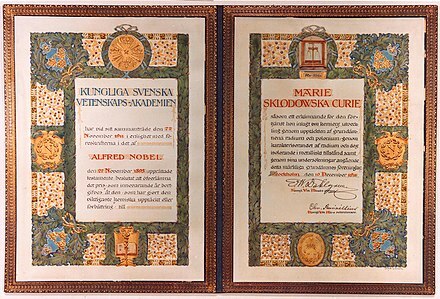 ↑ "Marie Curie and the radioactivity, The 1903 Nobel Prize in Physics". nobelprize.org. Marie called this radiation radioactivity—"radio" means radiation. 1 2 Goldsmith, Barbara (2005). 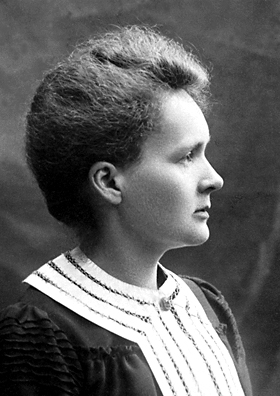 Obsessive Genius: The Inner World of Marie Curie. W. W. Norton & Company. p. 149. ISBN 978-0-393-05137-7 . Retrieved 15 March 2016. ↑ Kabzińska, Krystyna (1998). "Chemiczne i polskie aspekty odkrycia polonu i radu" [Chemical and Polish Aspects of Polonium and Radium Discovery]. Przemysł chemiczny (The Chemical Industry) (in Polish). 77: 104–107. ↑ "The Genius of Marie Curie: The Woman Who Lit Up the World" on YouTube (a 2013 BBC documentary). 1 2 3 4 5 6 7 8 9 10 11 12 13 14 15 16 17 18 19 20 21 Estreicher, Tadeusz (1938). "Curie, Maria ze Skłodowskich". Polski słownik biograficzny, vol. 4 (in Polish). p. 111. 1 2 3 4 5 6 7 8 9 "Marie Curie – Polish Girlhood (1867–1891) Part 1". American Institute of Physics. Retrieved 7 November 2011. ↑ Nelson, Craig (2014). The Age of Radiance: The Epic Rise and Dramatic Fall of the Atomic Era. Simon & Schuster. p. 18. ISBN 978-1-4516-6045-6. 1 2 3 4 5 6 7 8 9 10 11 12 13 14 15 Wojciech A. Wierzewski (21 June 2008). "Mazowieckie korzenie Marii" [Maria's Mazowsze Roots]. Gwiazda Polarna . 100 (13): 16–17. Archived from the original on 21 March 2009. Retrieved 10 September 2012. ↑ Robert William Reid (1974). Marie Curie. New American Library. p. 12. ISBN 978-0-00-211539-1 . Retrieved 15 March 2016. ↑ Barker, Dan (2011). The Good Atheist: Living a Purpose-Filled Life Without God. Ulysses Press. p. 171. ISBN 978-1-56975-846-5. 1 2 Robert William Reid (1974). Marie Curie. New American Library. p. 6. ISBN 978-0-00-211539-1 . Retrieved 15 March 2016. Unusually at such an early age, she became what T.H. Huxley had just invented a word for: agnostic. 1 2 3 4 5 6 7 8 9 "Marie Curie – Polish Girlhood (1867–1891) Part 2". American Institute of Physics. Retrieved 7 November 2011. ↑ Robert William Reid (1974). Marie Curie. New American Library. p. 24. ISBN 978-0-00-211539-1 . Retrieved 15 March 2016. ↑ Robert William Reid (1974). Marie Curie. New American Library. pp. 23–23. ISBN 978-0-00-211539-1 . Retrieved 15 March 2016. 1 2 3 4 5 6 7 8 9 10 11 12 13 14 15 16 17 18 19 20 Estreicher, Tadeusz (1938). "Curie, Maria ze Skłodowskich". Polski słownik biograficzny, vol. 4 (in Polish). p. 112. ↑ Robert William Reid (1974). Marie Curie. New American Library. p. 32. ISBN 978-0-00-211539-1 . Retrieved 15 March 2016. 1 2 3 4 5 6 7 8 9 10 11 12 "Marie Curie – Student in Paris (1891–1897) Part 1". American Institute of Physics. Retrieved 7 November 2011. ↑ les Actus DN. "Marie Curie" . Retrieved 24 May 2013. 1 2 3 4 5 6 7 8 "Marie Curie – Research Breakthroughs (1807–1904)Part 1". American Institute of Physics. Retrieved 7 November 2011. ↑ Robert William Reid (1974). Marie Curie. New American Library. pp. 61–63. ISBN 978-0-00-211539-1 . Retrieved 15 March 2016. 1 2 3 4 5 6 7 8 9 10 11 "Marie Curie – Research Breakthroughs (1807–1904)Part 2". American Institute of Physics. Retrieved 7 November 2011. 1 2 "Marie Curie – Student in Paris (1891–1897) Part 2". American Institute of Physics. Retrieved 7 November 2011. ↑ Robert William Reid (1974). Marie Curie. New American Library. pp. 63–64. ISBN 978-0-00-211539-1 . Retrieved 15 March 2016. ↑ Robert William Reid (1974). Marie Curie. New American Library. p. 64. ISBN 978-0-00-211539-1 . Retrieved 15 March 2016. ↑ Robert William Reid (1974). Marie Curie. New American Library. pp. 64–65. ISBN 978-0-00-211539-1 . Retrieved 15 March 2016. 1 2 3 Robert William Reid (1974). Marie Curie. New American Library. p. 65. ISBN 978-0-00-211539-1 . Retrieved 15 March 2016. ↑ "The Discovery of Radioactivity". Lawrence Berkeley National Laboratory. 9 August 2000. Retrieved 2 August 2012. 1 2 L. Pearce Williams (1986). "Curie, Pierre and Marie". Encyclopedia Americana, vol. 8. Danbury, Connecticut: Grolier, Inc. p. 332. ↑ "Marie Sklodowska Curie", Encyclopedia of World Biography , 2nd ed., vol. 4, Detroit, Gale, 2004, pp. 339–41. Gale Virtual Reference Library. Web. 3 June 2013. 1 2 3 4 "Marie Curie – Research Breakthroughs (1807–1904) Part 3". American Institute of Physics. Retrieved 7 November 2011. 1 2 Quinn, Susan (1996). Marie Curie: A Life. Da Capo Press. pp. 176, 203. ISBN 978-0-201-88794-5. ↑ Mould, R. F. (1998). 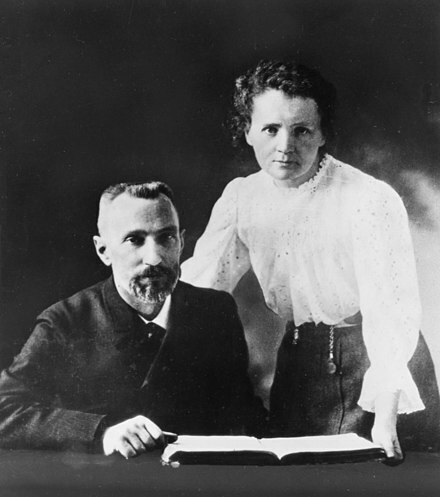 "The discovery of radium in 1898 by Maria Sklodowska-Curie (1867–1934) and Pierre Curie (1859–1906) with commentary on their life and times" (PDF). The British Journal of Radiology. 71 (852): 1229–54. doi:10.1259/bjr.71.852.10318996. PMID 10318996 . Retrieved 31 July 2008. 1 2 "Marie Curie – Recognition and Disappointment (1903–1905) Part 1". American Institute of Physics. Retrieved 7 November 2011. 1 2 3 4 5 6 "Marie Curie – Recognition and Disappointment (1903–1905) Part 2". American Institute of Physics. Retrieved 7 November 2011. ↑ "Prof. Curie killed in a Paris street" (PDF). The New York Times. 20 April 1906. Retrieved 8 February 2011. 1 2 "Marie Curie – Tragedy and Adjustment (1906–1910) Part 1". American Institute of Physics. Retrieved 7 November 2011. 1 2 3 "Marie Curie – Tragedy and Adjustment (1906–1910) Part 2". American Institute of Physics. Retrieved 7 November 2011. 1 2 3 4 5 6 7 8 9 10 11 12 13 14 15 Estreicher, Tadeusz (1938). "Curie, Maria ze Skłodowskich". Polski słownik biograficzny, vol. 4 (in Polish). p. 113. 1 2 3 4 5 "Marie Curie – Scandal and Recovery (1910–1913) Part 1". American Institute of Physics. Retrieved 7 November 2011. ↑ Goldsmith, Barbara (2005). Obsessive Genius: The Inner World of Marie Curie. W. W. Norton & Company. pp. 170–71. ISBN 978-0-393-05137-7 . Retrieved 15 March 2016. ↑ Robert William Reid (1974). Marie Curie. New American Library. pp. 44, 90. ISBN 978-0-00-211539-1 . Retrieved 15 March 2016. ↑ Goldsmith, Barbara (2005). Obsessive Genius: The Inner World of Marie Curie. W. W. Norton & Company. pp. 165–76. ISBN 978-0-393-05137-7 . Retrieved 15 March 2016. 1 2 3 4 "Marie Curie – Scandal and Recovery (1910–1913) Part 2". American Institute of Physics. Retrieved 7 November 2011. ↑ "Marie Curie-biographical". Nobel Prize.org. 2014. Retrieved 16 March 2018. 1 2 3 4 5 6 "Marie Curie – War Duty (1914–1919) Part 1". American Institute of Physics. Retrieved 7 November 2011. 1 2 3 4 5 6 "Marie Curie – War Duty (1914–1919) Part 2". American Institute of Physics. Retrieved 7 November 2011. ↑ Śladkowski, Wiesław (1980). Emigracja polska we Francji 1871–1918 (in Polish). Wydawnictwo Lubelskie. p. 274. ISBN 978-83-222-0147-3 . Retrieved 15 March 2016. ↑ Ann M. Lewicki (2002). "Marie Sklodowska Curie in America, 1921". Radiology. 223 (2): 299–303. doi:10.1148/radiol.2232011319. PMID 11997527 . Retrieved 7 November 2011. ↑ Julie Des Jardins (October 2011). "Madame Curie's Passion". Smithsonian Magazine. Retrieved 11 September 2012. 1 2 3 4 5 "Marie Curie – The Radium Institute (1919–1934) Part 1". American Institute of Physics. Retrieved 7 November 2011. ↑ Pasachoff, Naomi (1996). Marie Curie:And the Science of Radioactivity: And the Science of Radioactivity. Oxford University Press. p. 93. ISBN 978-0-19-509214-1. 1 2 Zwoliński, Zbigniew. "Science in Poland – Maria Sklodowska-Curie". Uniwersytet im. Adama Mickiewicza w Poznaniu. Archived from the original on 11 September 2012. Retrieved 27 August 2012. 1 2 "Marie Curie – The Radium Institute (1919–1934) Part 2". American Institute of Physics. Retrieved 7 November 2011. ↑ "Chemistry International – Newsmagazine for IUPAC". International Union of Pure and Applied Chemistry. 5 January 2011. Retrieved 7 November 2011. 1 2 3 "Marie Curie Enshrined in Pantheon". New York Times. 21 April 1995. Retrieved 2 August 2012. 1 2 "Marie Curie and Her Legend". American Institute of Physics. Retrieved 7 November 2011. ↑ Norman E. Holden (2004). "Atomic Weights and the International Committee: A Historical Review". Chemistry International. 1 2 3 "Marie Curie – The Radium Institute (1919–1934) Part 3". American Institute of Physics. Retrieved 7 November 2011. ↑ Rollyson, Carl (2004). Marie Curie: Honesty In Science. iUniverse. p. x. ISBN 978-0-595-34059-0. ↑ James Shipman; Jerry D. Wilson; Aaron Todd (2012). An Introduction to Physical Science. Cengage Learning. p. 263. ISBN 978-1-133-10409-4. ↑ Blom, Philipp (2008). "1903: A Strange Luminescence". The Vertigo Years: Europe, 1900–1914. Basic Books. p. 76. ISBN 978-0-465-01116-2. The glowing tubes looked like faint, fairy lights. ↑ Denise Grady (6 October 1998), A Glow in the Dark, and a Lesson in Scientific Peril The New York Times ; accessed 21 December 2016. ↑ Estes, Adam Clark. "Marie Curie's century-old radioactive notebook still requires lead box". 1 2 Bryson, Bill (2012). A Short History of Nearly Everything. Random House Digital, Inc. p. 74. ISBN 978-0-385-67450-8. 1 2 3 Estreicher, Tadeusz (1938). "Curie, Maria ze Skłodowskich". Polski słownik biograficzny, vol. 4 (in Polish). p. 114. ↑ Robert William Reid (1974). Marie Curie. New American Library. p. 265. ISBN 978-0-00-211539-1 . Retrieved 15 March 2016. ↑ Borzendowski, Janice (2009). Sterling Biographies: Marie Curie: Mother of Modern Physics. Sterling Publishing Company, Inc. p. 36. ISBN 978-1-4027-5318-3. ↑ "Most inspirational woman scientist revealed". Newscientist.com. 2 July 2009. Retrieved 27 April 2011. ↑ "Marie Curie voted greatest female scientist". The Daily Telegraph. London. 2 July 2009. Retrieved 10 April 2010. Marie Curie, the Nobel Prize-winning nuclear physicist has been voted the greatest woman scientist of all time. 1 2 3 "2011 – The Year of Marie Skłodowska-Curie". Cosmopolitanreview.com. 3 July 2011. Archived from the original on 14 August 2011. Retrieved 27 August 2012. ↑ Chute, James (5 March 2011). "Video artist Steinkamp's flowery 'Madame Curie' is challenging, and stunning". signonsandiego.com. Retrieved 14 April 2011. ↑ "Marie Curie's 144th Birthday Anniversary". DoodleToday.com. 7 November 2011. Retrieved 9 November 2011. ↑ "Princess Madeleine attends celebrations to mark anniversary of Marie Curie's second Nobel Prize". Sveriges Kungahus. Retrieved 23 February 2012. 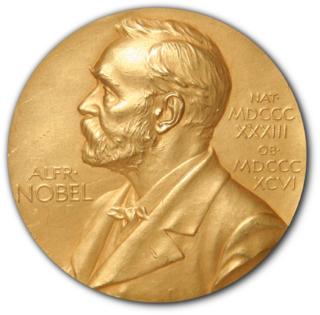 ↑ "Nobel Prize Facts". Nobelprize.org. 22 April 2011. Archived from the original on 1 September 2012. Retrieved 7 September 2012. 1 2 Eve Curie; Vincent Sheean (1999). Madame Curie: A Biography. Turtleback Books. p. 389. ISBN 978-0-613-18127-3. ↑ "Scientific Notes and News". Science. 25 (647): 839–840. 1907. Bibcode:1907Sci....25..839.. doi:10.1126/science.25.647.839. ISSN 0036-8075. ↑ "Franklin Laureate Database". The Franklin Institute Awards. The Franklin Institute. Archived from the original on 12 December 2012. Retrieved 11 September 2012. ↑ "Minutes". Proc. Am. Philos. Soc. 60 (4): xxii. 1921. JSTOR 984523. ↑ Curie, M.P. ; Curie, Mme .P; Bémont, M.G. 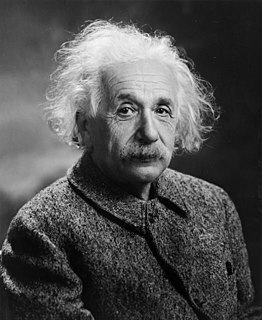 (26 December 1898). "sur une nouvelle substance fortement redio-active, contenue dans la pechblende". Comptes Rendus de l'Académie des Sciences (in French). Paris. 127: 1215–1217. ↑ Paul W. Frame (October–November 1996). "How the Curie Came to Be". Oak Ridge Associated Universities. Retrieved 30 April 2008. ↑ "Curium". Chemistry in its element. Royal Society of Chemistry. Retrieved 27 August 2012. 1 2 3 4 Borzendowski, Janice (2009). Sterling Biographies: Marie Curie: Mother of Modern Physics. Sterling Publishing Company, Inc. p. 37. ISBN 978-1-4027-5318-3. ↑ "Marie Curie Actions" (PDF). European Commission. 2012. p. 5. Archived from the original (PDF) on 4 June 2013. Retrieved 10 September 2012. ↑ "Coventry professor's honorary degree takes him in footsteps of Marie Curie". Birmingham Press. 31 July 2012. Retrieved 6 May 2017. ↑ "Professional Awards". Iota Stigma Pi: National Honor Society for Women in Chemistry. Retrieved 16 December 2014. ↑ "Museum of Modern Imaging" . Retrieved 27 November 2016. ↑ "IEA – reaktor Maria". Institute of Atomic Energy, Poland. Archived from the original on 19 March 2012. Retrieved 27 August 2012. ↑ "Picture of the McDonnell Douglas MD-11 aircraft". Airliners.net. Retrieved 27 April 2011. ↑ Curie, Institut (17 December 2010). "Curie museum | Institut Curie". Curie.fr. Archived from the original on 6 September 2012. Retrieved 27 August 2012. ↑ "Marie Curie Medallion Returns to UB Polish Collection By Way of eBay". News Center, University of Buffalo. 11 September 2007. Retrieved 27 August 2012. ↑ "Radioactive: Marie and Pierre Curie, a Tale of Love and Fallout". Cosmopolitanreview.com. 3 July 2011. Archived from the original on 14 August 2011. Retrieved 27 August 2012. ↑ "Les-Palmes-de-M-Schutz (1997)". Movies. New York Times. 5 June 2012. Retrieved 27 August 2012. 1 2 Main, Douglas (7 March 2014). "This Famous Image Of Marie Curie Isn't Marie Curie". Popular Science www.popsci.com. Retrieved 15 November 2014. ↑ Council of Scientific & Industrial Research (India) (1997). Science reporter. Council of Scientific & Industrial Research. p. 117. Retrieved 15 March 2016. ↑ Letcher, Piers (2003). Eccentric France. Bradt Travel Guides. p. 59. ISBN 978-1-84162-068-8. ↑ "Most Marii Skłodowskiej-Curie, Polska » Vistal Gdynia". www.vistal.pl. Archived from the original on 29 March 2016. Retrieved 2017-01-26. Eva Hemmungs Wirtén (2015). Making Marie Curie: Intellectual Property and Celebrity Culture in an Age of Information. University of Chicago Press. ISBN 978-0-226-23584-4 . Retrieved 15 March 2016. Kaczorowska, Teresa (2011). 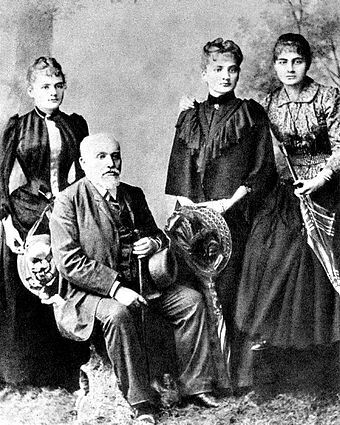 Córka mazowieckich równin, czyli, Maria Skłodowska-Curie z Mazowsza [Daughter of the Mazovian Plains: Maria Skłodowska–Curie of Mazowsze] (in Polish). Związek Literatów Polskich, Oddz. w Ciechanowie. ISBN 978-83-89408-36-5 . Retrieved 15 March 2016.